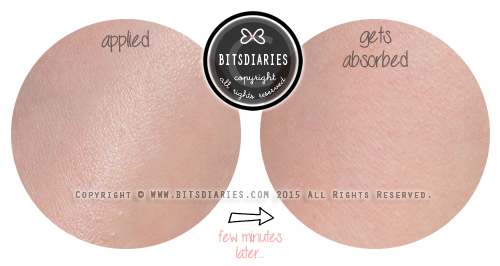 With it's unique Acrylates Copolymer (AC) Technology, it absorbs sebum and releases glycerin to help hydrate skin. 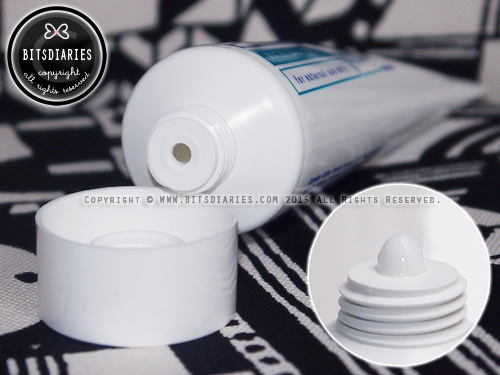 It is dermatologically-tested, safe and gentle and it claims to kill pimples' bacteria within 48 hours. It is available in 3 strengths — 2.5%, 5% and 10%. Usage: Apply to affected areas once or twice daily or as directed by dermatologist. 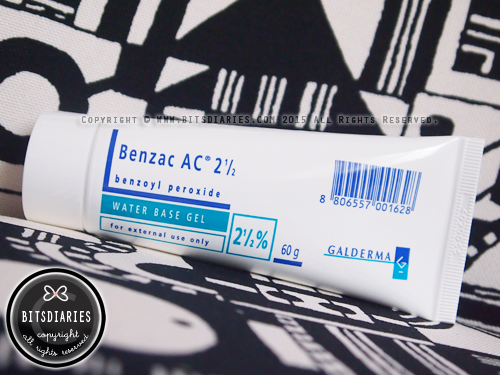 Benzac AC Gel comes in a squeezable tube, like a toothpaste tube, with a plastic twist-off cap. Each tube weighs 60g. The gel has a watery-creamy texture. The skin may feel sticky when the gel is applied, but once the gel gets absorbed into the skin, there is no sticky or greasy feel. FYI, I am a user of Salicylic Acid, an active acne ingredient which is gentler than Benzoyl Peroxide. As Salicylic Acid is still working well on my acne (both inflamed and non-inflamed), I don't really want to switch to Benzoyl Peroxide. However, Salicylic Acid takes a week or two to treat my *cystic acne; I can't wait that long to get rid of these kind of pimples because they are generally painful to the touch and can be very annoying. (P.S: I have been getting a few cystic acne recently.) Therefore, I decided to use Benzoyl Peroxide on them. *Cystic Acne: They are generally big, red, painful and pus-filled. I have tried it and it did heal my cystic pimples however, I think 5% strength is slightly strong for my sensitive skin as it caused the area where I applied the cream to turn red and itchy. So I decided to reduce the strength and try the 2.5% one. Although it is 2.5%, it is still as effective as 5%. 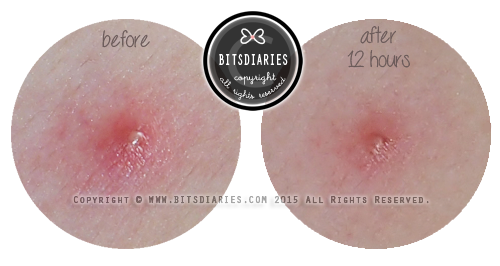 Within 12 hours of applying the gel on my cystic pimples, my pimples were much smaller and a lot less painful. Within 48 hours, they became flat! 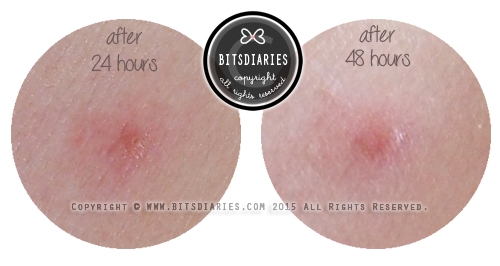 I swear the results were amazing on my pimples — fast and effective! The only drawback is drying. In my opinion, the 2.5% strength is less drying than the 5% one. It may still dry out the skin and cause the skin to peel but well, being able to get rid of big, red and painful zit in 2 days, [...] it's all worth it lah! 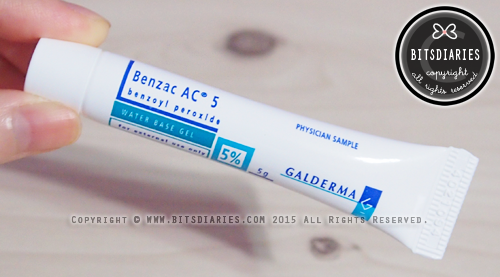 Anyway, the 2.5% strength did not irritate my sensitive skin hence, I think it is sensitive skin friendly. 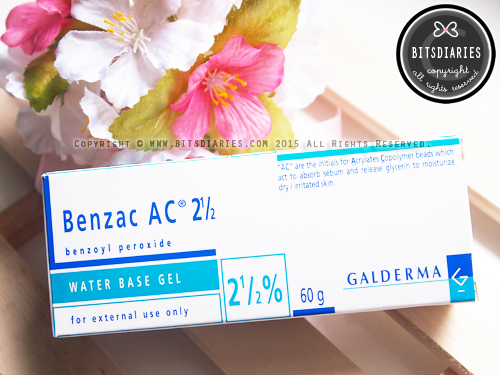 Benzac AC Gel is now available in National Skin Centre, selected FairPrice, Guardian, Unity and Watsons outlets at the price of SGD$17.50. Hi, glad to know there is a beauty blogger who fought for acne (and win!) . May I know if you use it overnight? and how many times in a day did you use it?